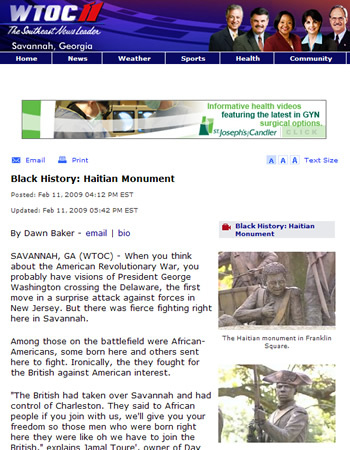 WOCT11 News channel in Atlanta Georgia gave a shot out to Haiti and the volunteers of San Domingue for Black History month. "Those black men fought right here in Savannah during American Revolution they were called the volunteers of San Domingue. That is black men from San Domingue. We know San Domingue as Haiti today,"